Special thanks to our IAIA17 sponsors. IAIA welcomes conference sponsorship in any amount. 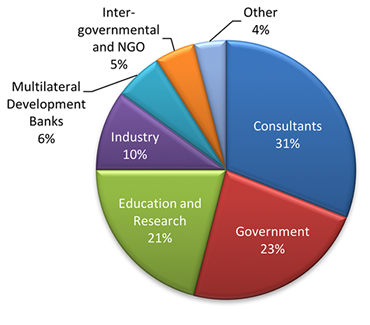 Sponsorship can be applied either toward specific components of the conference program (e.g., coffee breaks, plenary sessions) or as a general contribution. DOWNLOAD THE IAIA17 SPONSORSHIP OPPORTUNITIES BROCHURE (English) (French) for more details about what can be sponsored and the benefits available to your organization. DOWNLOAD THE IAIA17 EXHIBITOR FLYER for information about booths, display tables, delegate pack inserts, and advertisements. IAIA is the only interdisciplinary international association dedicated to impact assessment. Our annual conferences bring together a unique mix of experts and professionals, and a unique opportunity for you to promote your organization. Our conference in 2015 included nearly 1000 people from 87 countries. 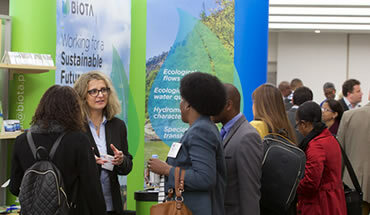 Increase your visibility before an international audience of environmental and social professionals. Be recognized as a global thought leader. Demonstrate your commitment to sustainability and corporate social responsibility. Be associated with other industry leaders. Ensure that your company or institution information is forefront during the conference. Give your staff the opportunity to network with leading practitioners and experts. Ensure that your company will be remembered by the delegates long after the event is over. IAIA17 is expected to attract more than 1000 international delegates from 80+ nations around the world with a large concentration expected from North America. The annual conference provides a platform for delegates representing a variety of sectors to share and engage with each other. IAIA offers five sponsorship category levels: Reef, Island, Continent, Earth, and Premier. A detailed breakdown of benefits by category is available in the IAIA17 Sponsorship Opportunities brochure. We're Interested! Who Do We Contact?